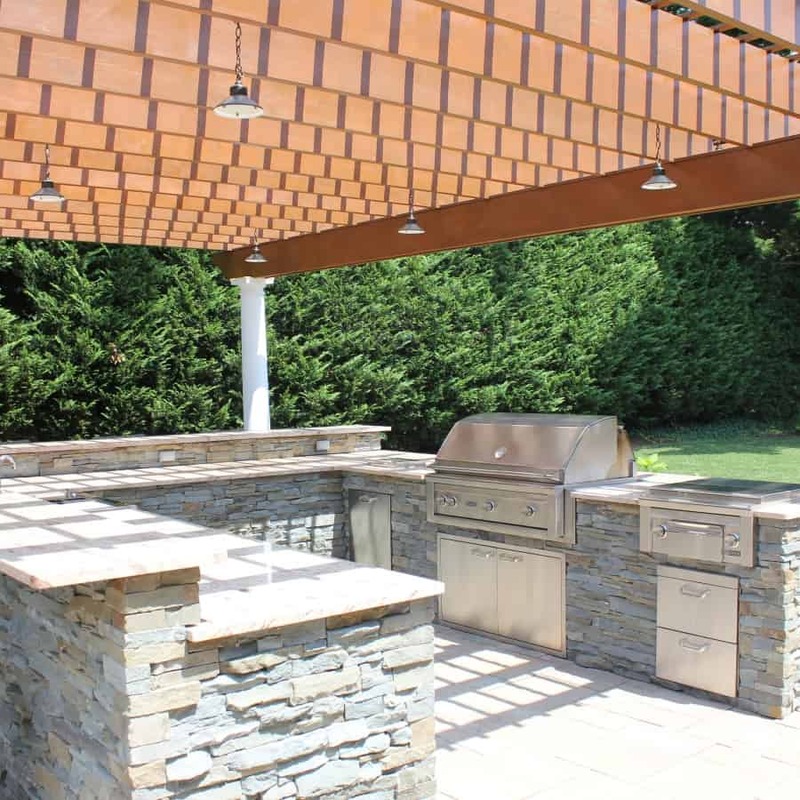 Outdoor kitchens are one of many features that fall under the umbrella of “Outdoor Rooms.” These are spaces that incorporate cooking, dining, and gathering components and are now the most popular amenities for any home. 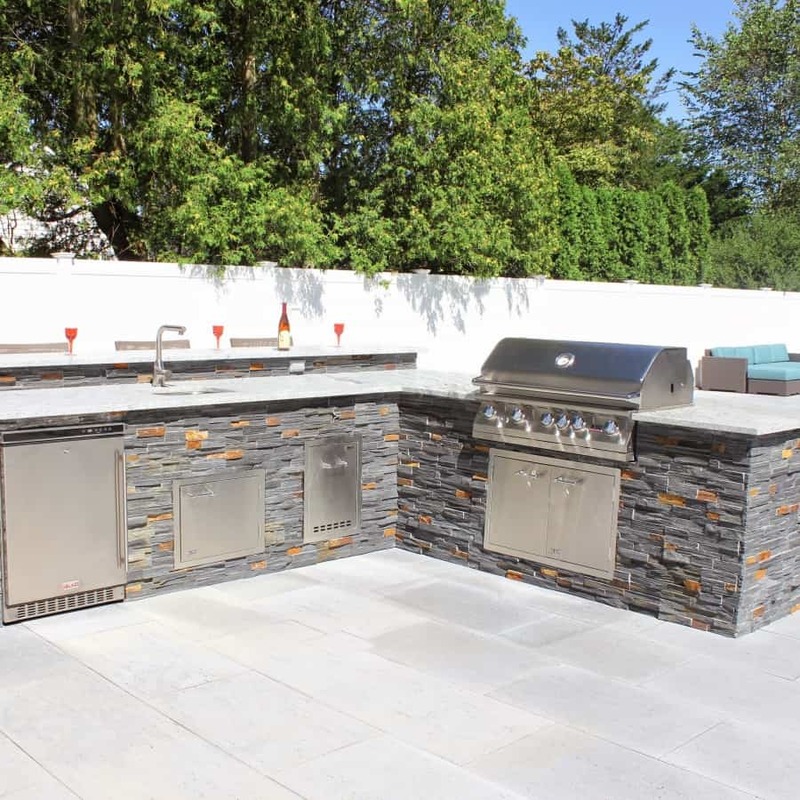 The outdoor kitchen allows backyard chefs to mingle with guests while cooking, thereby making trips into the home’s kitchen for supplies virtually unnecessary. 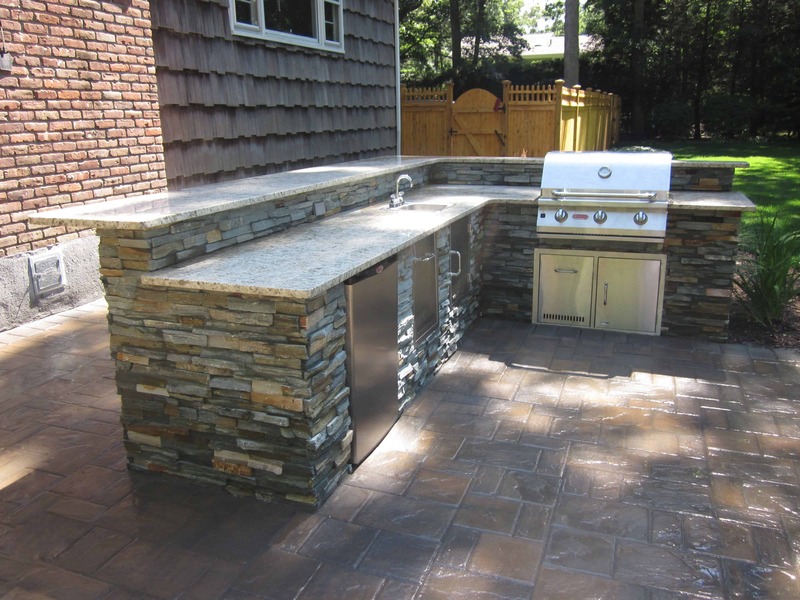 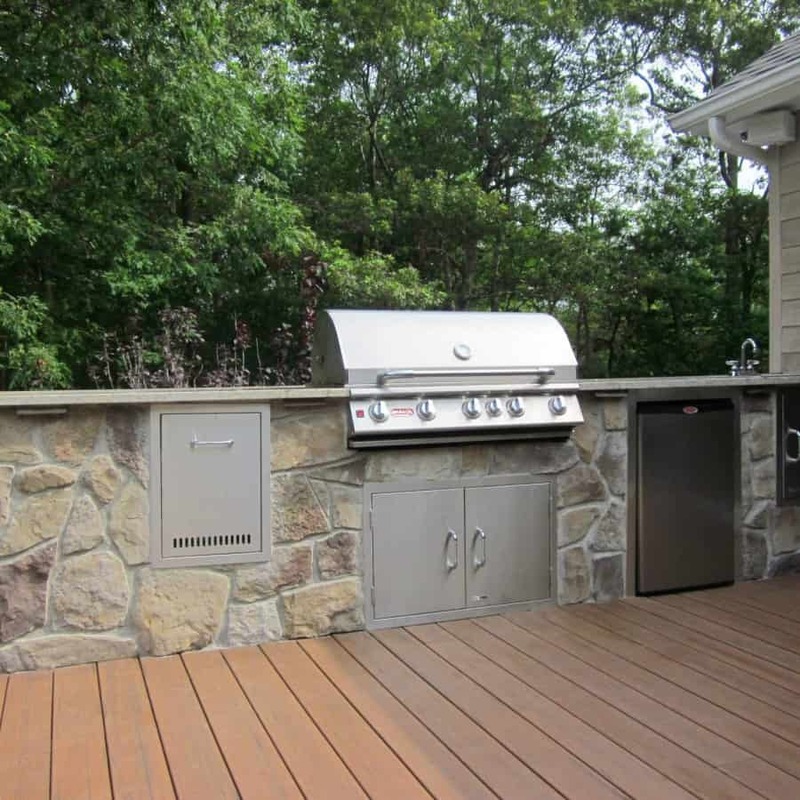 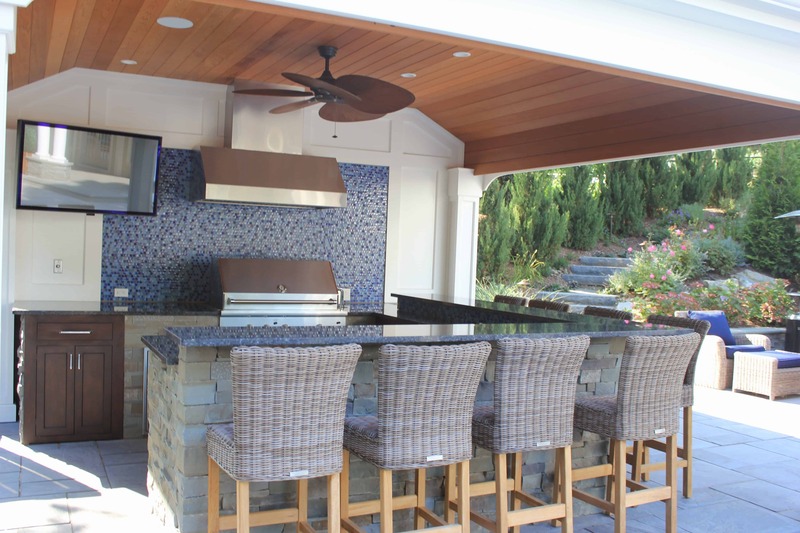 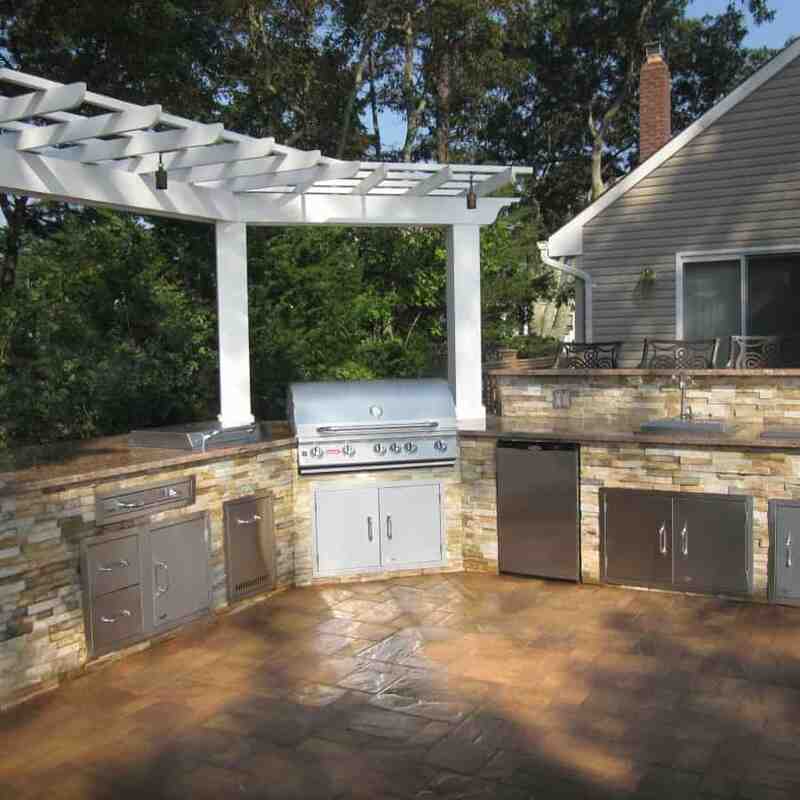 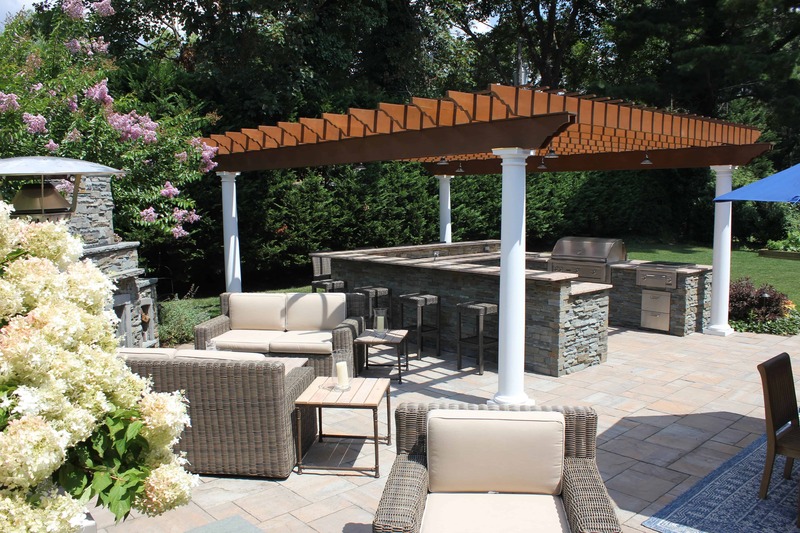 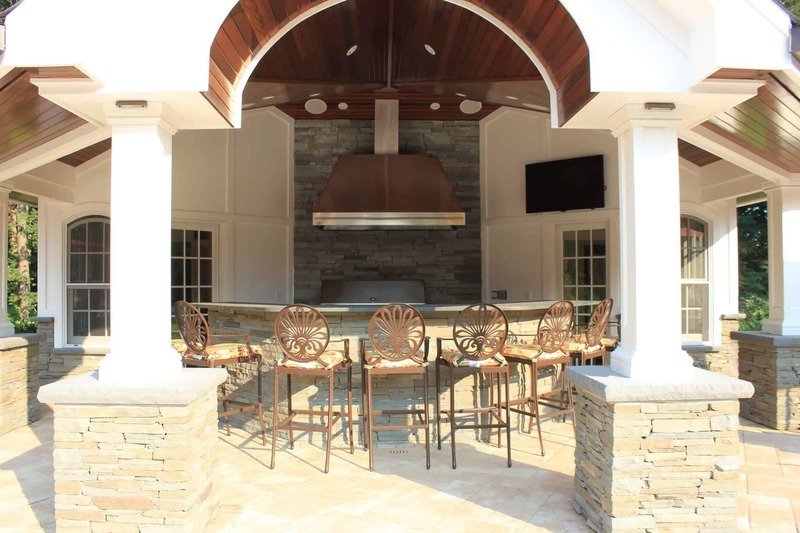 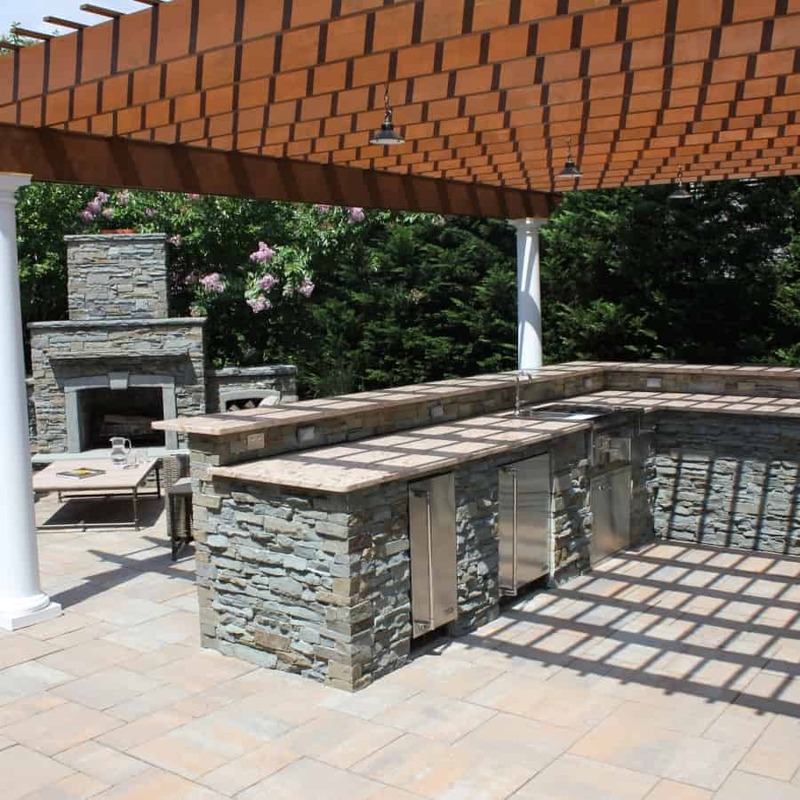 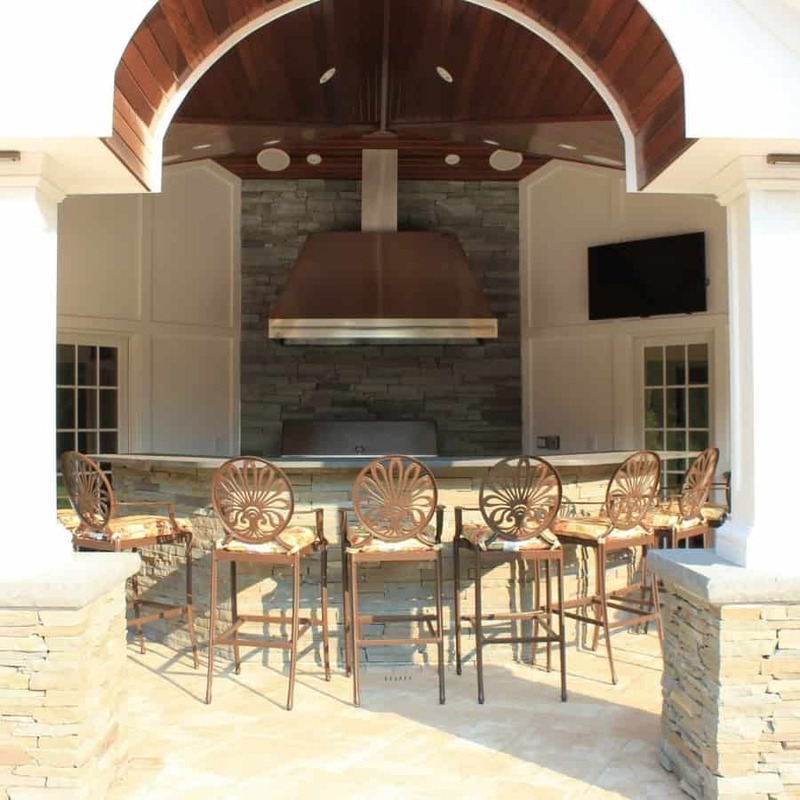 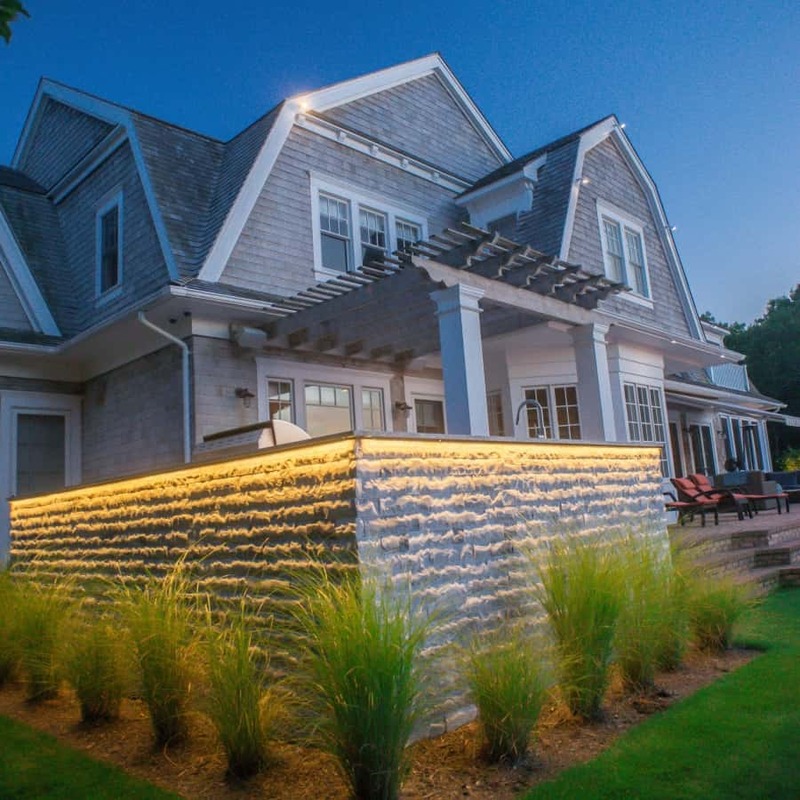 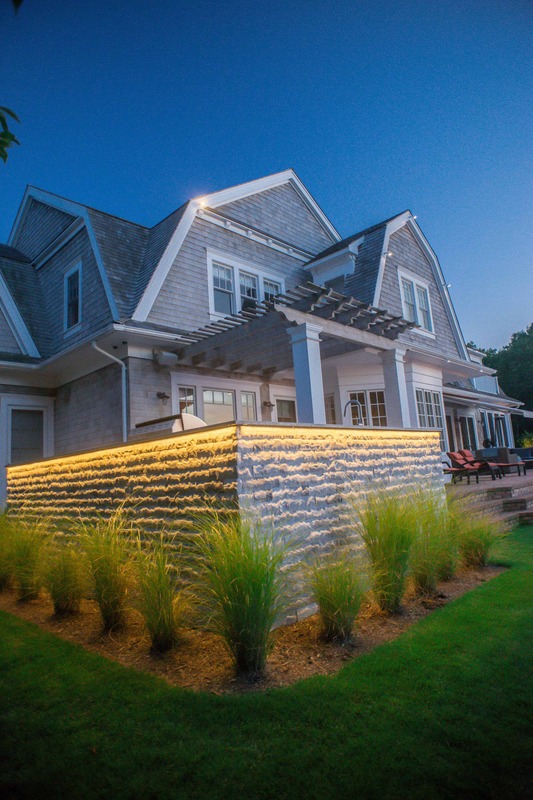 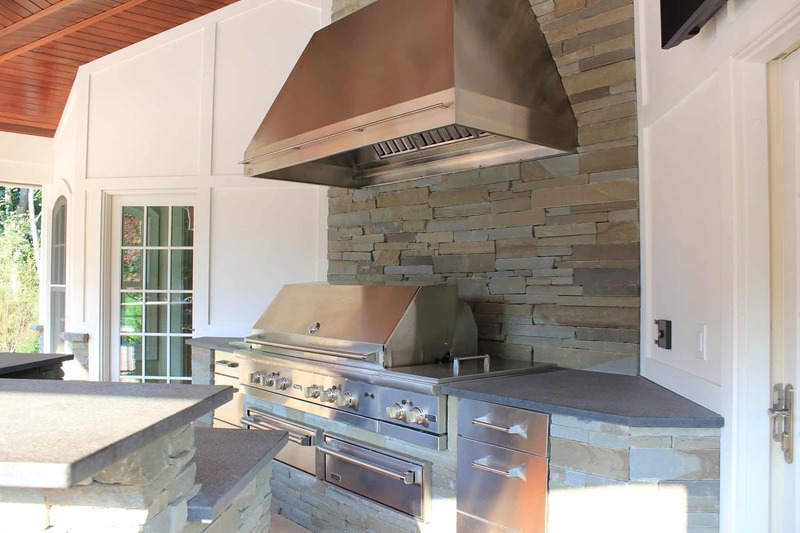 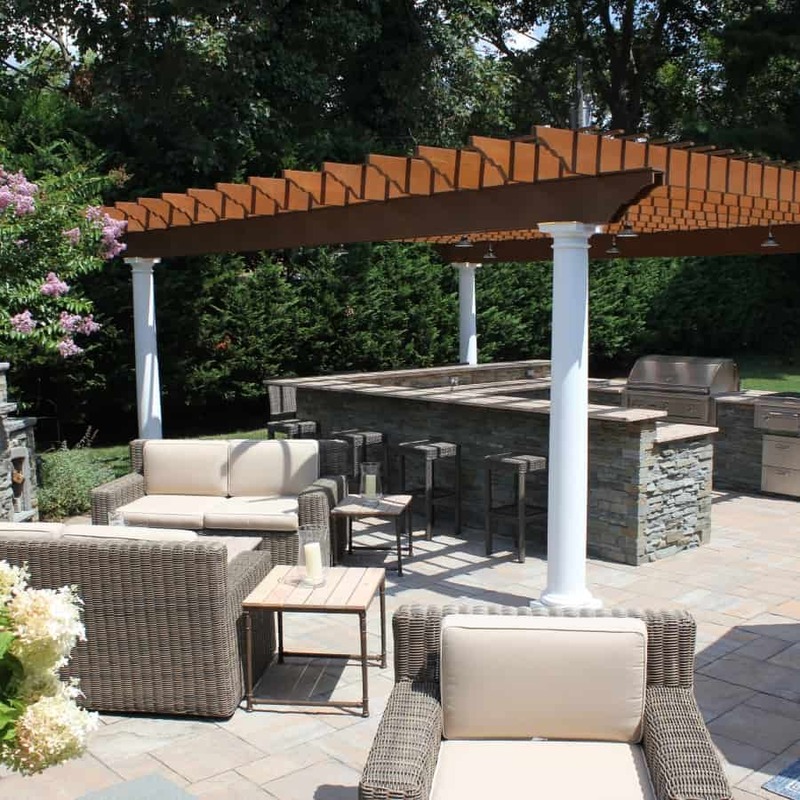 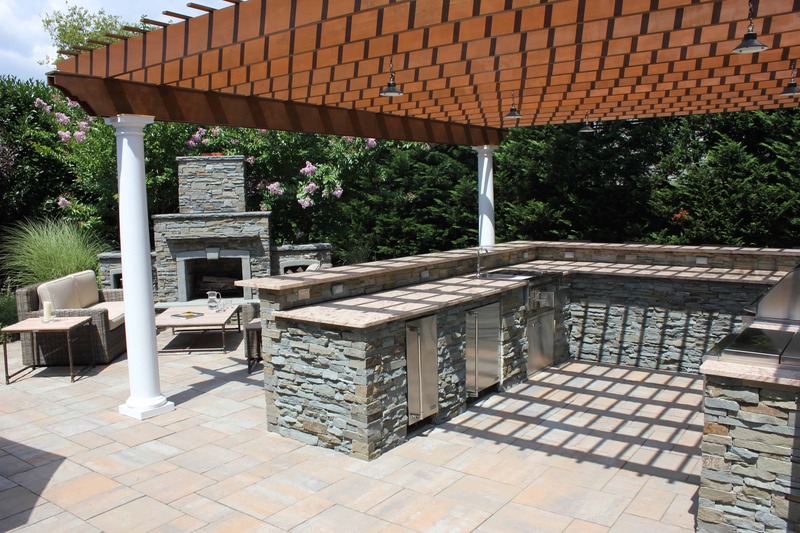 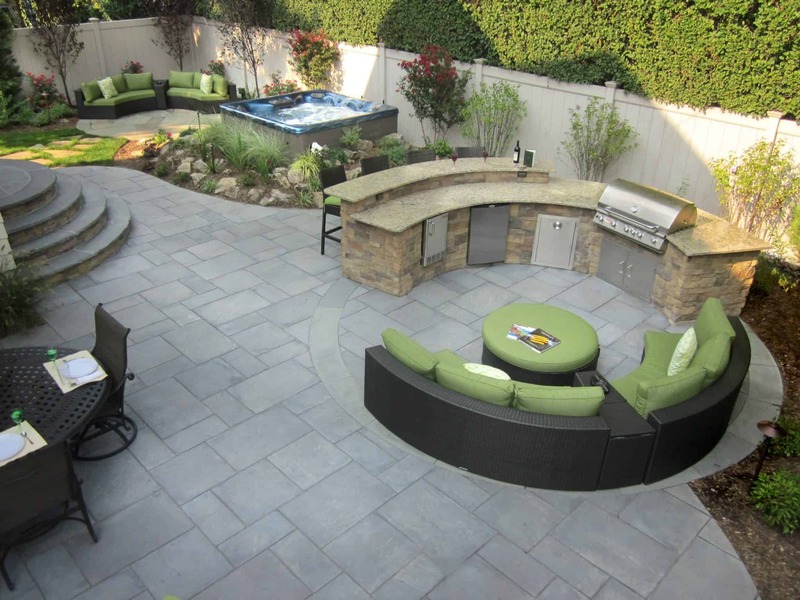 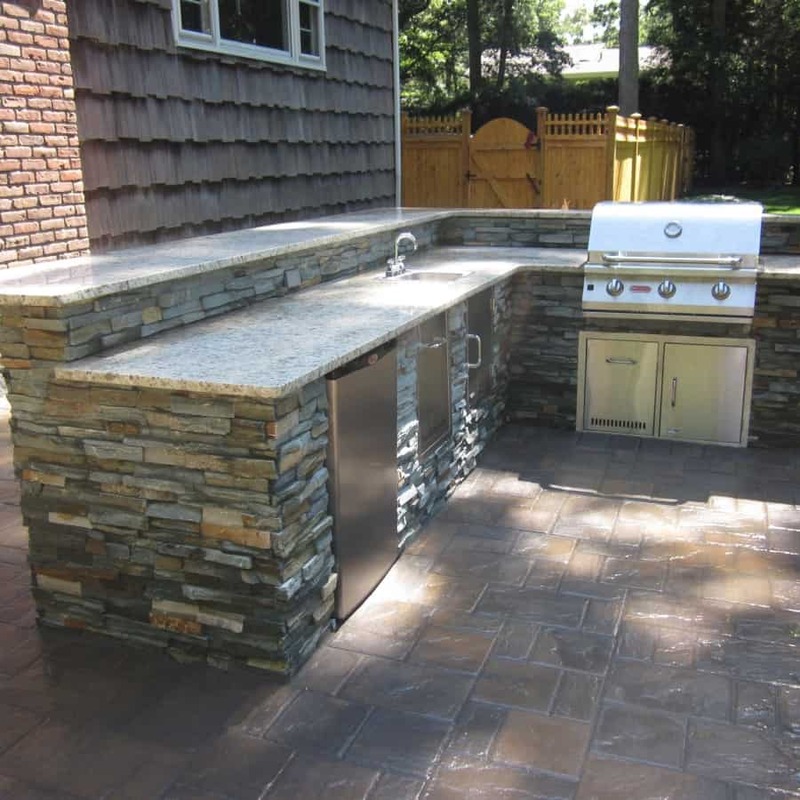 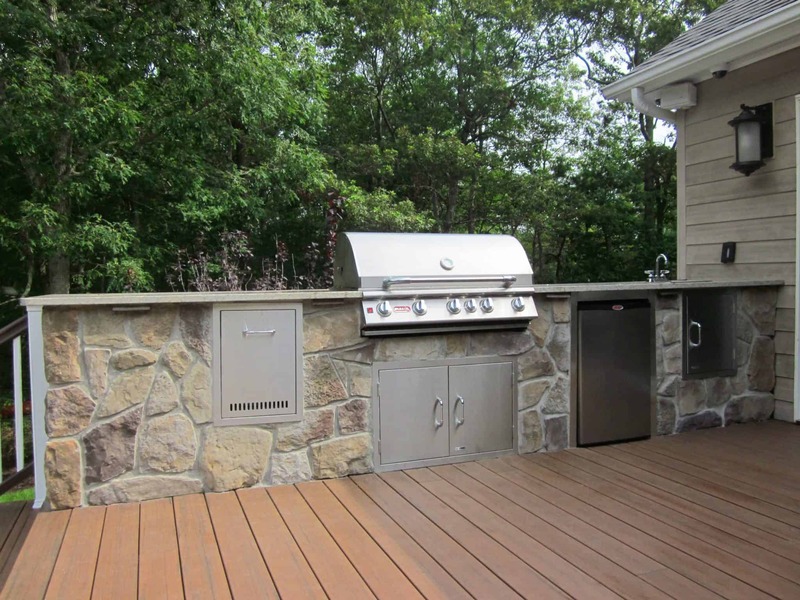 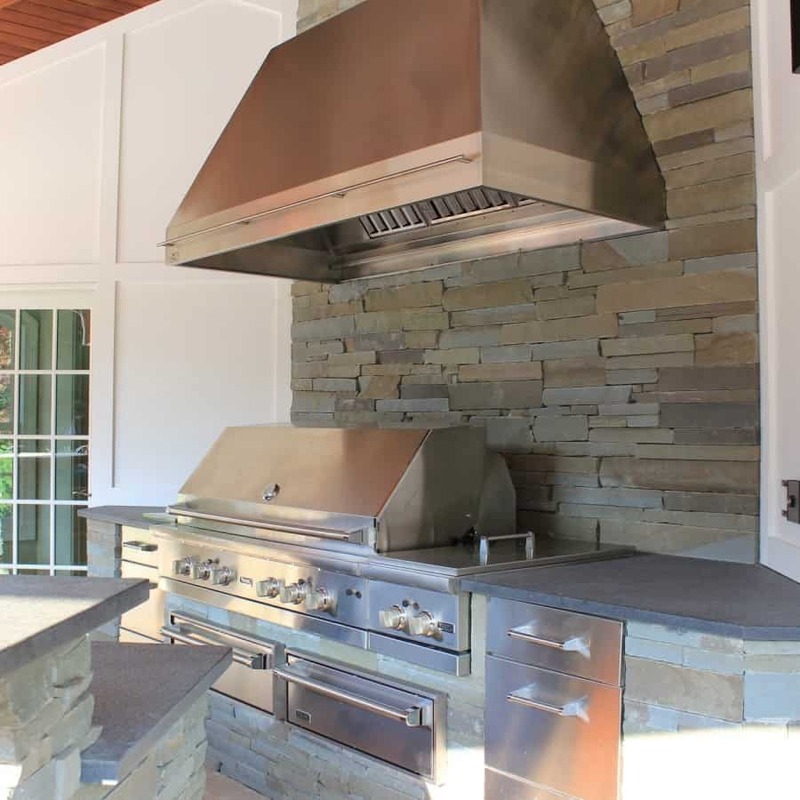 Outdoor kitchen design and construction is virtually unlimited. 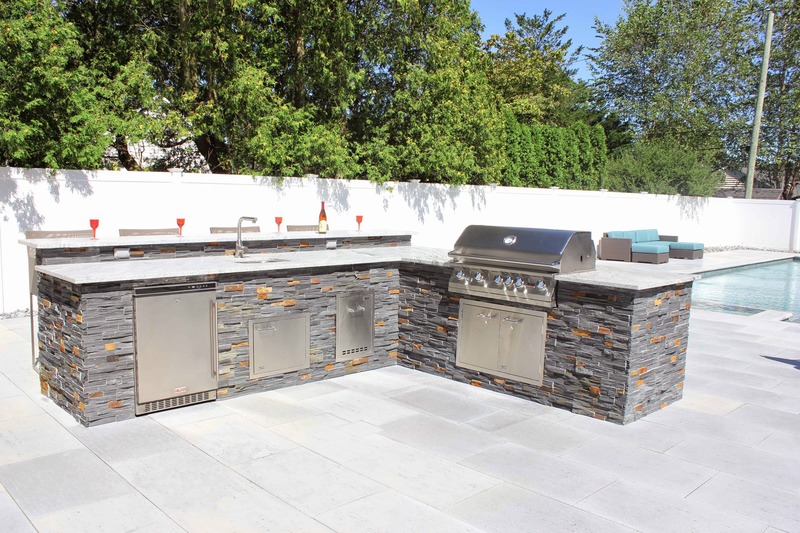 They can range from stainless steel stand-alone units to built-in units; veneered with natural stone, cultured stone or concrete pavers. 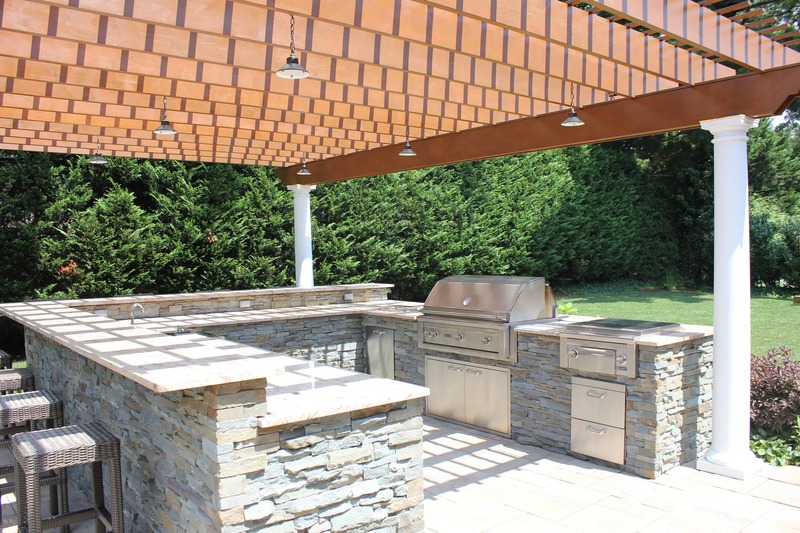 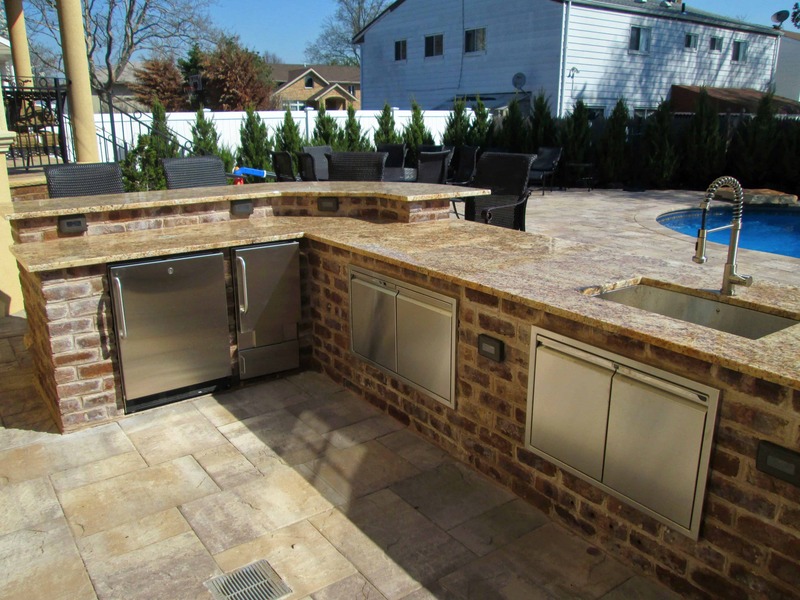 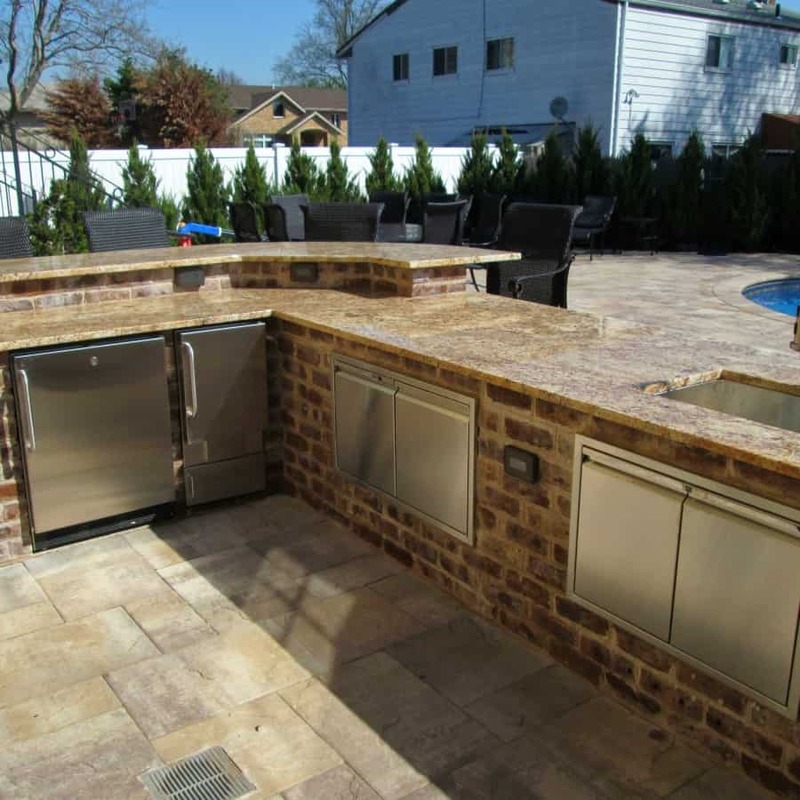 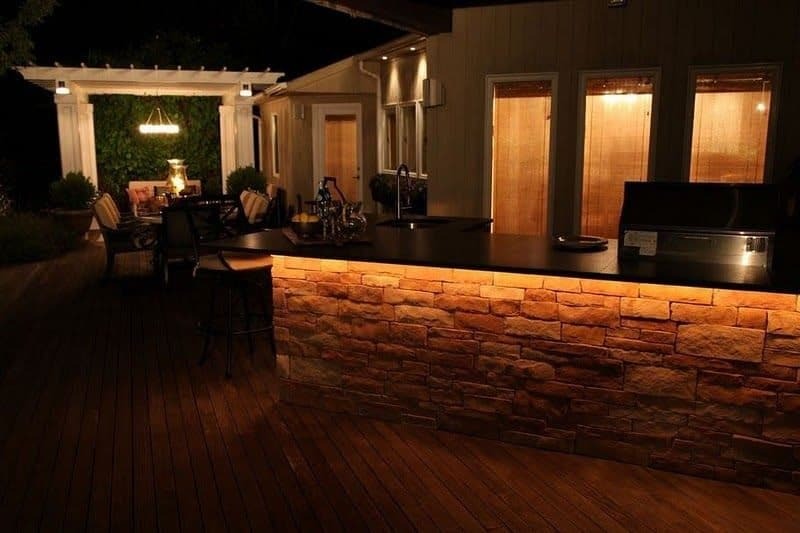 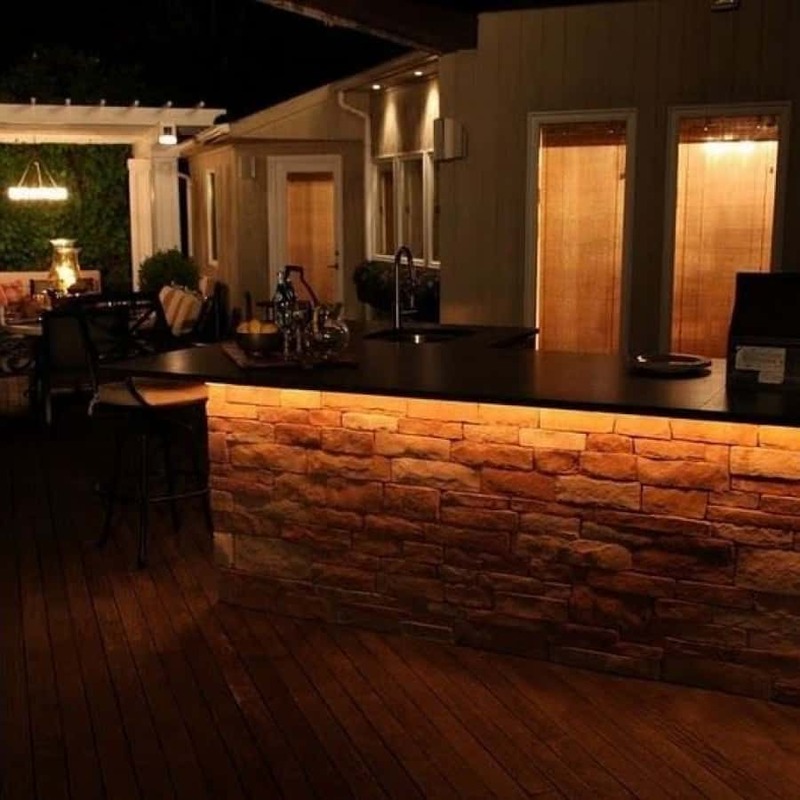 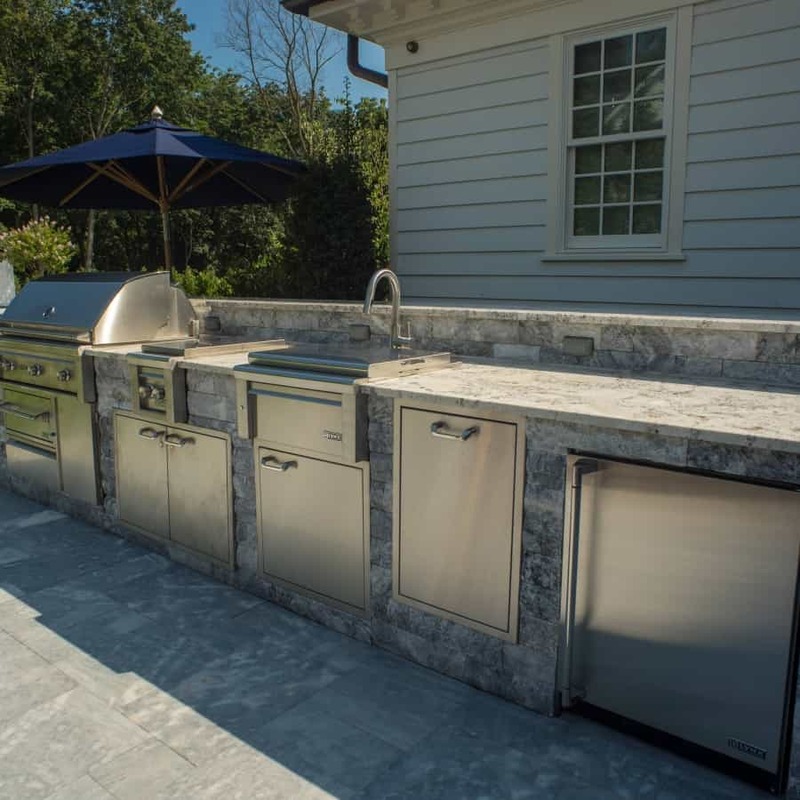 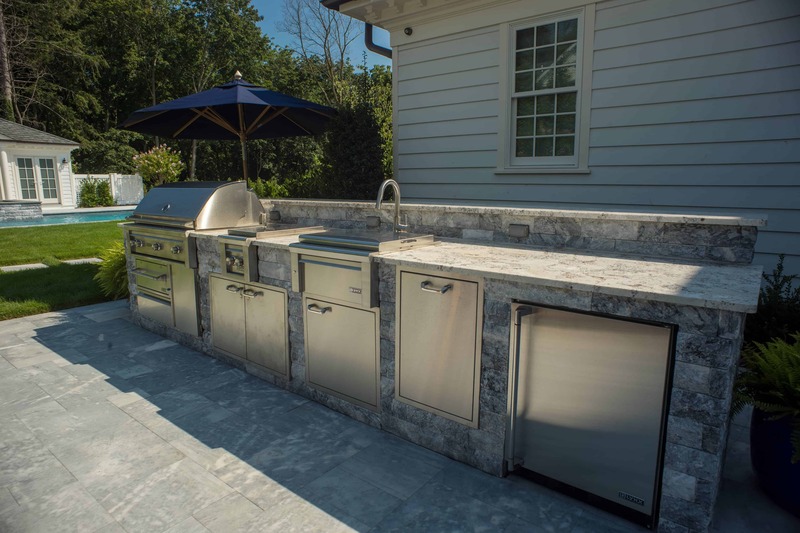 When designing an outdoor kitchen, it is very important to take into consideration the location of the feature in relation to the property and all of its elements. 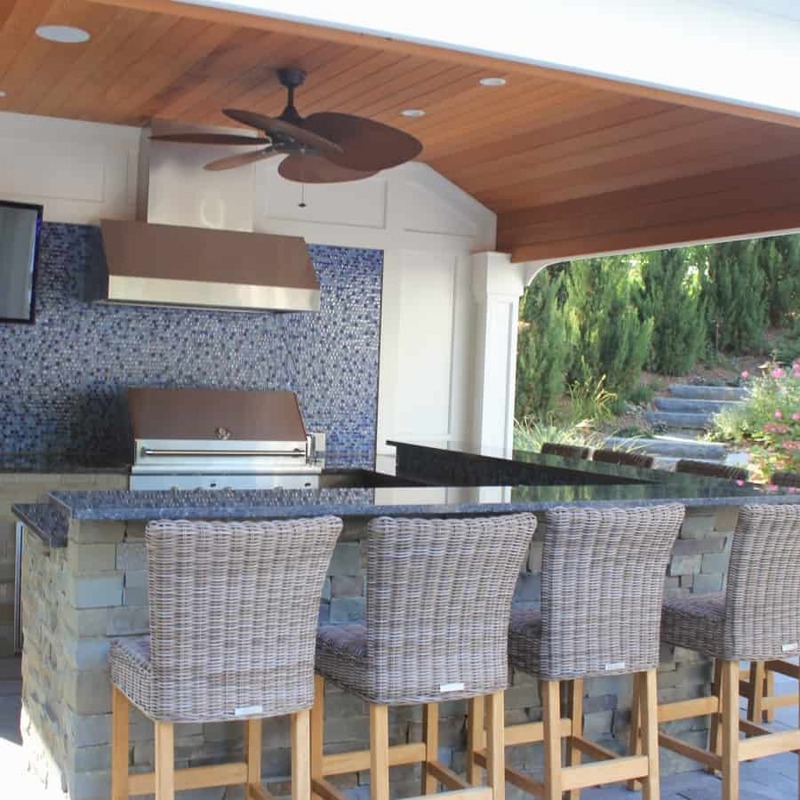 For example: the direction of the smoke from the grill should not interfere with guests sitting at the bar enjoying a cocktail, as well as the area’s actual proximity to the home, can become strong factors depending on the components included. 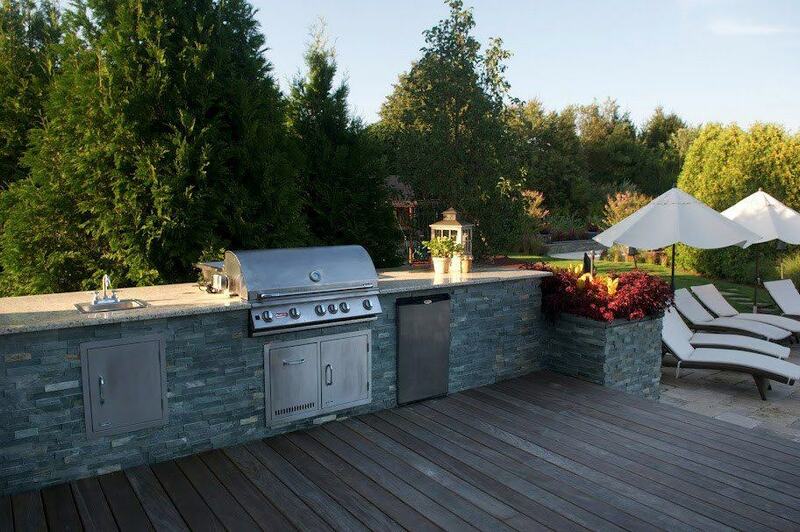 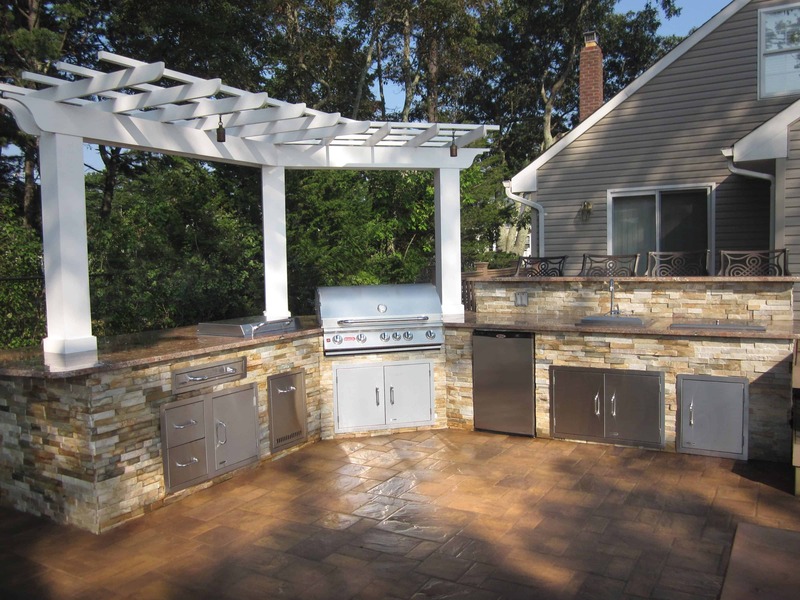 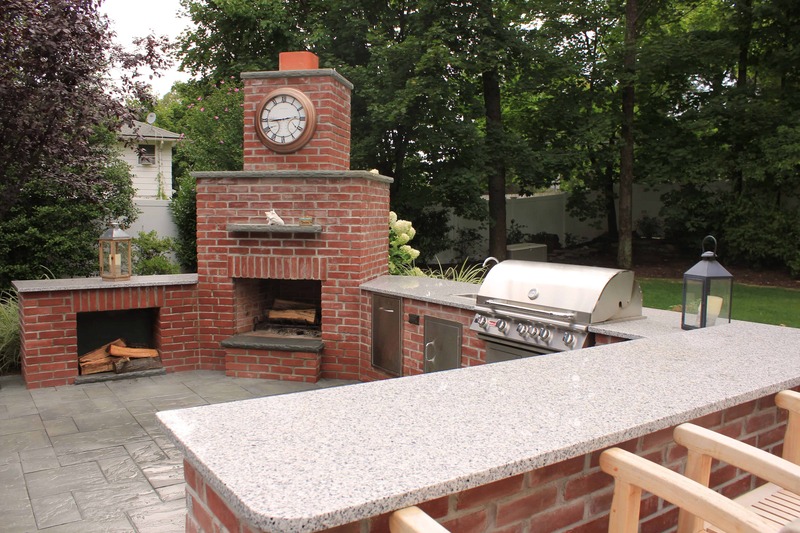 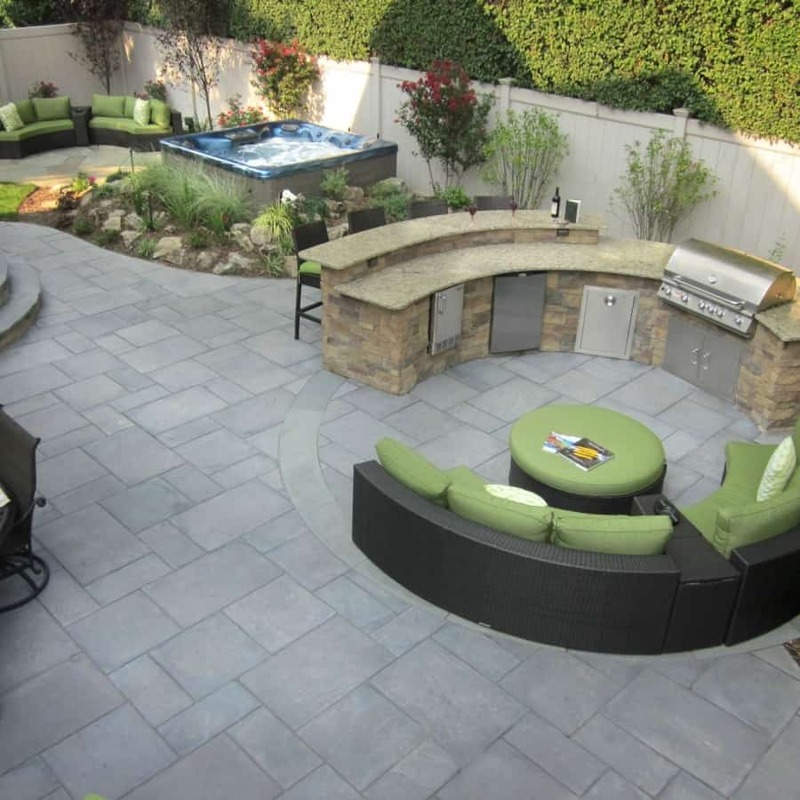 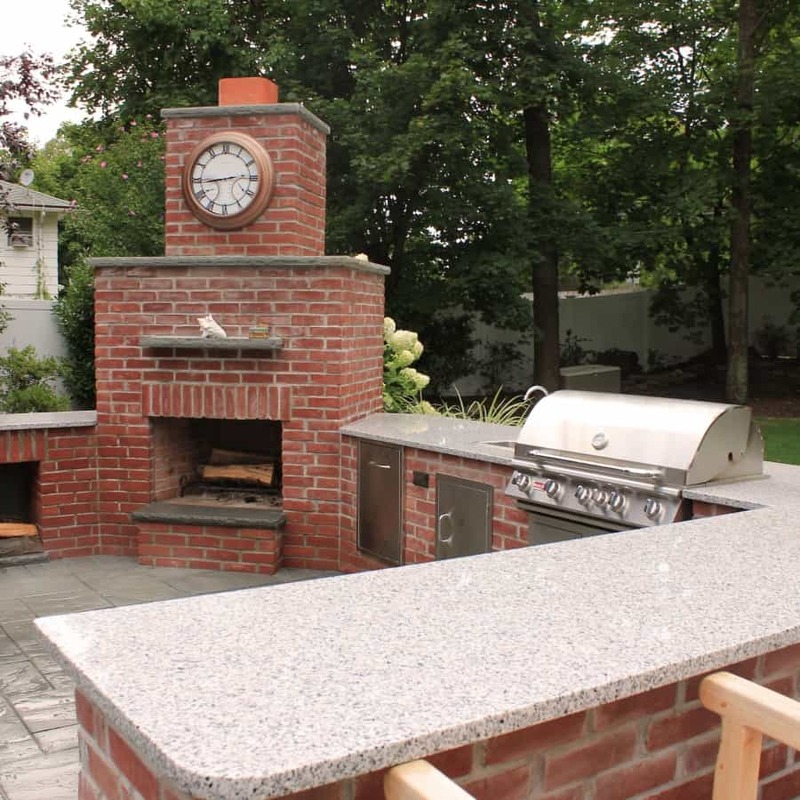 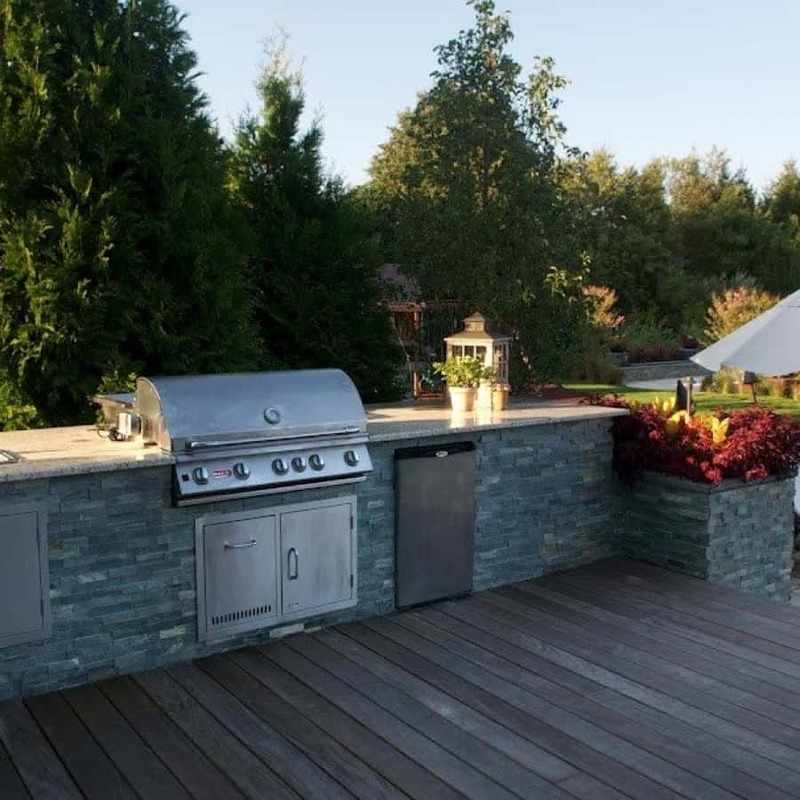 Our landscape designers will take all factors into account when designing your custom outdoor kitchen.